Specially designed tool for use with copper clamps. Made from aluminum with a side screw and spring. Use with either the large or medium copper clamps. 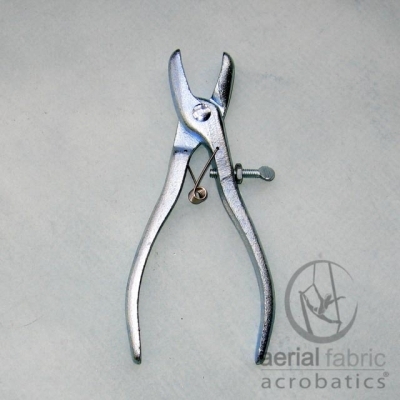 There is a divot on the inside of the nose of the clamp that holds the clamps secure as they are being tightened. 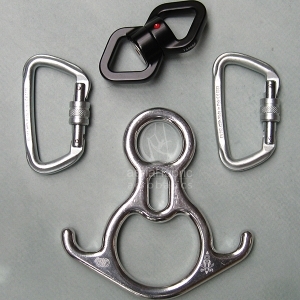 Clamping tool is used with copper clamps to make bungee cords. We suggest only using this tool with the clamps. 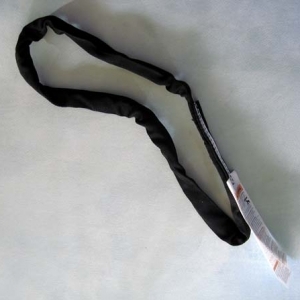 Take a look at our video on how to make bungee cords. 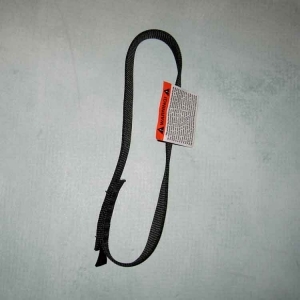 Bungee cord is available by the foot. It is recommended to make individual cords, at least 3 or more cords per person depending on weight. Made from aluminum with a side screw and spring. Use with either the large or medium copper clamps. There is a divot on the inside of the nose of the clamp that holds the clamps secure as they are being tightened.